Using a private drone as a hobby is generally covered under a homeowner�s insurance policy�and subject to a deductible--which typically covers radio-controlled model aircraft. This also applies to a renter's insurance policy. Look at the contents section of your policy, or talk to your agent to see if your drone will be covered if it is lost, stolen or damaged. If your drone falls onto your car, damage to your car may be covered if you have a comprehensive coverage auto policy. A larger concern is liability for an accident caused by your drone. If your drone crashes into someone else's vehicle or a person. 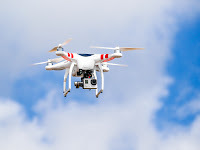 If you have a homeowner�s or renter's policy, generally the policy will cover liability for an accident caused by your drone if it is determined that you were negligent and at fault. Check with your agent or insurer to verify your policy contains this important coverage. You can also read a story about drone insurance that was recently posted on the Insurance Journal�s website.